. . . [Glass / Violin Concerto no. 2]: played with infectious enthusiasm by Gidon Kremer and borne along by the driving momentum of the spirited Lithuanian players. Giya Kancheli's ethereal "Ex Contrario", for violin, cello and orchestra, is a complete contrast, as calm and beautiful as the surface of a deep, slow-moving river. The exceptional beauty and simplicity of this disc is elementary to violin soloist Gidon Kremer . . . Gorgeous. 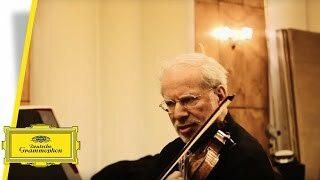 Gidon Kremer is one of those rare musicians capable of illuminating a new work in such a way as to reveal its true greatness . . . [Kancheli / "Ex contrario"]: Kremer and Kremerata Baltica's excellent performance does much to suggest that Kancheli's epic paean to pathos must rank as one of his greatest compositions . . . [Kremer injects more drive and passion into the orchestral movements of Glass's Second Violin Concerto:] the first and third played with dark drama, the elegiac third fragile and beautiful, while the final movement is dispatched with almost devilish insouciance, Kremerata Baltica just about holding on to the violinist's coat-tails . . . Kremer's performances, as ever, bring the music to full bloom: truly a "musician for all seasons". Kremer's playing is utterly compelling . . . Giya Kancheli's "Ex contrario" is an exquisitely scored and complex work . . .
Glass's Violin Concerto No.2 "The American Four Seasons" is an attractive and accessible work in which the familiar repeated patterns and sequences, while still clearly Glass, seem to provide links to Vivaldi. Kancheli's "Ex contrario" is a hauntingly beautiful work . . .
Kremer imbues contemporary fare with characteristic intensity . . . refreshing . . . Glass's Violin Concerto encapsulates Kremer's probing interpretative style as he micro-inflects the music with infinitely subtle changes of tonal shading (including his trademark flautando tendency), articulation and dynamic . . . Kremer's refusal to take the easy, cantabile way out is at its most potent in Umebayashi's "Yumeji's Theme", captured with exemplary clarity by DG's engineers.
. . . worth revisiting at this higher resolution . . . some astonishingly wonderful music . . . ["Ex contrario"] is a hauntingly beautiful piece. Kremer and his ensemble certainly play it that way, and should be able to win almost any listener to their point of view . . . in this amiable work, Kremer's lines provide a subtle and more pliant contrast] to Glass's often inexorable orchestral backgrounds. In fact, Kremer raises them expressively far beyond wallpaper Minimalism . . . [the opening of Kancheli's "Ex contrario"] spreads a sort of mist out of which the soloists emerge. Everything is lush and tonal, though the orchestration continues to be thin and the textures transparent . . . Kremer and his colleagues have internalized its walking-on-eggs manner, making almost as much of its silences as of the sounding sections themselves . . . Kremer has served up a sumptuous and delectable feast. As urgently recommended to general listeners as to specialists as a program of universal appeal; sensitively played and clearly recorded. [Glass / Violin Concerto no. 2]: Kremer completely elevates the score, achieving just what he aimed for, maximum expression through minimal sounds . . . a wide audience, I suspect, will find this a warm easy listen . . . Kremer's facility with difficulties such as double-stops embellished with trills is effortless. 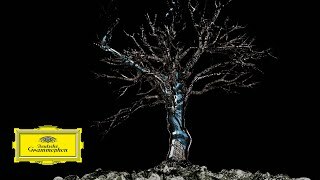 This mesmerizing performance instantly becomes a classic in the Philip Glass discography . . . [Kancheli's half-hour "Ex contrario"] is highly effective in creating an atmosphere . . . the performance is so beautiful that listeners are bound to be drawn in. The two shorter works that fill out the CD's generous timing are even more accessible. Pärt's very brief "Estonian Lullaby" is just that, a simple folk tune . . . "Yumeji s Theme" is a sweetly melancholy waltz . . . Kremer plays it exquisitely . . . in a world aching to escape from negativity on many fronts, the music here offers at least an enjoyable reprieve.
. . . [interspersing Glass's Violin Concerto No. 2 with four short works brings] textural variety to the party, thrown with absolute conviction by Gidon Kremer . . . [Arvo Pärt's playful and perfectly formed "Estonian Lullaby" cleanses the palette] before the meditative reflections of "Ex contrario" . . . Kremerata Baltica and soloists embrace the extremes of his writing -- from its eastern-sounding melismata for cello to brooding climaxes to sentimental strings -- with compelling results: it has some astonishing moments.
. . . Kremer's vividly spontaneous, almost improvisatory approach to his chosen repertoire -- often it really does sound like the music has been freshly composed -- sets him apart . . .
Auf das tonale Zentrum der Kompositionen konzentriert, stellt Kremer sich und seine Kremerata-Kollegen für "New Seasons" ganz in den Dienst der Klänge.
. . . [Kremer] singt auf seiner Geige und schwelgt geradezu in der zum Teil auch meditativen Schönheit dieser Musik. Aber dennoch hat seine Interpretation eine ungeheure, fast bohrende Intensität . . . [die Musik gräbt sich tief ins Bewusstsein ein] und lässt einen so schnell nicht mehr los. 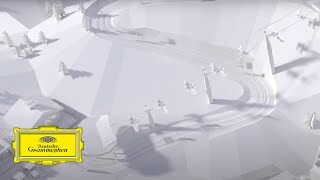 Dieses Soghafte, Rauschhafte der Musik von Philip Glass, kommt in Kremers Interpretation sehr stark zur Geltung. Kremer baut von der ersten Note an einen großen Spannungsbogen auf . . . Die beiden kurzen Stücke von Pärt und von Umebayashi sind Petitessen, hübsche kleine Preziosen, die nichts prätendieren und nicht wehtun. Insgesamt lohnt die CD wegen des Violinkonzerts von Philip Glass. Wer Vertrautheit, Nostalgie, meditative Sinnlichkeit und einfache Formen liebt, wird nicht enttäuscht werden. Denn Kremer versteht es, auch die einfachen Botschaften suggestiv aufzuladen. Er gestaltet unaufdringlich im Ton, aber immer hoch sensitiv. Gerade fragile Momente und Stimmungen, von denen es hier viele gibt, wirken besonders stark. Mit der Kremerata Baltica hat der Geiger ein vertrautes Ensemble zusammen, das bestens auf seinen lichten, gläsernen Klang eingeschworen ist. Die Aufnahme besticht vor allem durch Töne, die wie unter dem Mikroskop entstehen und deren Reichtum sich vor allem im Leisen und sehr Leisen zeigt. Vieles klingt fast zierlich und zerbrechlich, so dass die wenigen Kontraste umso kühner wirken.